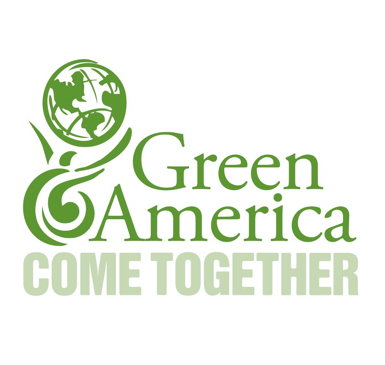 Since Green America launched our“Break Up With Your Mega-Bank” campaign in 2008, we’ve heard from thousands of Green Americans who have broken up with their mega-banks, switching their bank accounts to community development banks or credit unions. And it’s no wonder why — for decades, mega-banks like Bank of America, Citigroup, JP Morgan Chase, Wells Fargo, and others have been engaging in predatory lending, investing in fossil fuels, and deceiving consumers with hidden charges and fees—and they were a central cause of the Great Recession. • Foreclosure scandals: The economy continues to suffer from the downturn initiated by the wave of dishonest mortgages issued by mega-banks, and homeowners are still struggling through the foreclosure crisis. Early this year, Bank of America, Citi, JP Morgan Chase, and Wells Fargo all agreed to pay billions of dollars to the US government to settle accusations that they improperly reviewed foreclosures and mishandled loan modifications in 2009 and 2010. • Contributing to climate change: Banks and the companies they fund continue to engage in mountaintop-removal coal mining and to build carbonspewing coal-fired power plants, despite the threat of climate change. Dirty Money, a 2012 report released by the Rainforest Action Network (RAN), BankTrack, and the Sierra Club, grades US Banks based on their connections to mountaintop-removal mining and coal-fired power plants. Bank of America, JP Morgan Chase, Citi, Morgan Stanley, and Wells Fargo were found to be the five worst banks when it comes to coal fi nancing, with Bank of America leading the pack. • Harming the Earth: Many megabanks are also underwriting projects in the tar sands of Canada; a practice that is destroying Canada’s Boreal Forest, which provides critical habitat for several species and is one of the largest intact forests remaining on Earth. According to 2010 research by RAN, Canadian and American banks continue to provide financing and underwriting to companies involved in tar sands extraction, including Canadian bank RBC, JP Morgan Chase, Citi, and Bank of America. And, says RAN, Morgan Stanley,Citigroup, and Merrill Lynch provided loan capital for China’s notorious Three Gorges Dam, an electrification project completed in 2012 that displaced over 1.4 million people, submerged toxic facilities, and destroyed critical wetlands. • Playing politics: Many mega-banks make large political donations to parties and causes that may or may not mesh with your values. JP Morgan Chase, Citi-Group, Bank of America, Wells Fargo, and US Bancorp all gave primarily to Republican candidates in 2011-2012, with some money also going to Democrats. • Predatory lending: In 2009, the Credit Card Accountability Responsibility and Disclosure (CARD) Act was put into place to protect consumers from some of the worst predatory lending practices once common in the credit card industry. The CARD Act protects consumers from retroactive interest rate increases, while giving them greater notice of changes in terms, more time to pay monthly bills, and more. However, mega-banks continue to work around these laws, enacting predatory policies like Wells Fargo’s policy to charge $15/month on checking accounts holding less than $7,500. Some mega-banks have started offering new loan products with names like “Checking Account Advance” or “Direct Deposit Advance.” These products offer a customer an “advance” on the next direct deposit into their checking account, which is then deducted automatically by the bank—at a hugely infl ated interest rate—upon their customer’s direct deposit. Cutting up that mega-bank credit card is another step to breaking up with your mega bank and starting a healthier relationship with a local community development bank or credit union. Visit Green America’s BreakUpWithYourMegaBank.orgto find a directory of community development institutions and for more tips and resources.